This course is a general introduction to the world of art and design. This course is a general introduction to the world of art and design. Participants will develop an understanding of the main elements in a work of art, from lines, shapes and composition to shadow and light, colour values, shading and surface texture. 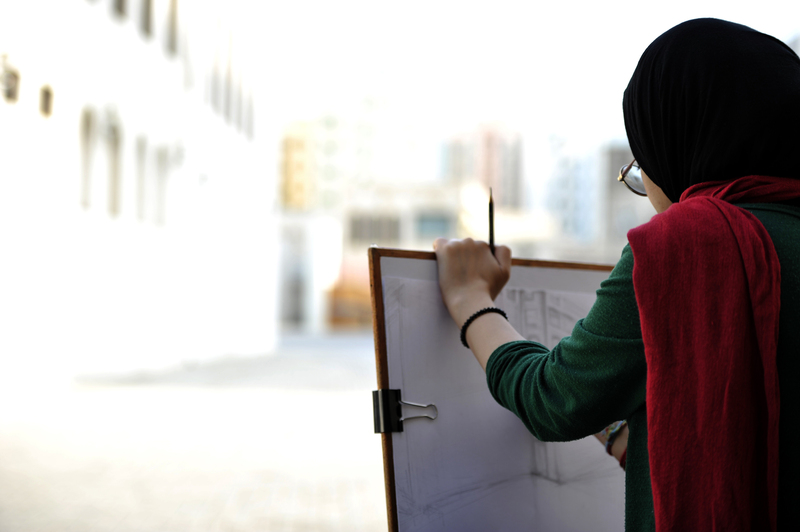 They will also be trained in the correct use of different pencils, erasers, paste and various types of colours, from watercolors to oil pastels. Participants will also examine the various colour theories in depth, such as the colour palette; complementary colours; warm and cold colours; basic, secondary and branched colours; and the concepts of harmony and contrast. In addition, participants will study the principles and elements of perspective through still life paintings and the monochrome technique.